It came as a surprise to learn that ABA Journal has been keeping a running update of Advocacy for Fairness in Sports blog entries. We’re not quite sure who’s responsible, but have a few ideas. Regardless, thanks so much for featuring our work in this prestigious publication. I’m truly honored that you’ve chosen to include our content among the many giants featured on the site. 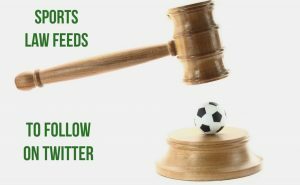 It was a thrill and an honor to be one of only a few non-attorneys to make Justipedia’s Top Sports Law Twitter Feeds for 2017! “Atty, Blogger Fight Back In NFL Concussion Deal Spat,” Ryan Boysen, February 15, 2019 – I (Sheilla) never expected to be one of the subjects of an article, especially in Law360, but welcome to 2019. “NFL’s ‘Cynical’ Appeals Could Gut Concussion Settlement,” Ryan Boysen, January 2, 2019 – Credited as first to report on this story. Appreciate the shout of from Dom Cosentino in his articles, It’s Now Even Harder For Former NFL Players To Prove They Have Dementia, and The NFL Concussion Settlement Keeps Failing People Its Supposed to Help. February 19, 2019, Sheilla Dingus (AdvocacyForFairnessInSports) Judge dismisses lawsuit filed by the daughter of Aaron Hernandez, also – Sheilla Dingus (AdvocacyForFairnessInSports) Dismissal of painkiller lawsuit against NFL leaves unanswered questions. December 7, 2018, Sheilla Dingus – To understand the NFL’s inconsistent handling of domestic violence, you have to enter the Matrix. /Excellent read; November 9, 2018, Sheilla Dingus Will the NFL’s latest appeal blow up the Concussion Settlement? /NFL tactics to disqualify, not pay out claims are lower than low; June 13, 2018, Sheilla Dingus NFL asks the Concussion Settlement Court for a fraud investigator with authority of subpoenas and compelled testimony; April 17, 2018, Sheilla Dingus But – is it really fraud they’re objecting to or that they’re finding themselves caught in their own trap? /This website is fantastic resource for all interested in the NFL’s [mis]handling of the concussion issue; April 10, 2018, Sheilla Dingus Why does Chris Seeger sound more like a mouthpiece for the NFL than advocate for players in the concussion settlement? March 20, 2018, Sheilla Dingus Recent motion in NFL concussion settlement details agonizing claims delays for sick players; February 22, 2018, Sheilla Dingus Predators lurk at every turn as neurologically impaired ex-NFL players seek concussion settlement relief; December 20, 2017, Sheilla Dingus The NFL’s preemption trap and how concussion settlement opt-outs plan to avoid it; August 18, 2017, Sheilla Dingus Claim delays and denials taint NFL concussion settlement; August 9, 2017, Sheilla Dingus Please don’t drink the Kool-Aid regarding NFL concussion settlement payouts; July 24, 2017 Sheilla Dingus Judge Alsup denies remaining claims in NFL painkiller lawsuit. /Really good explanation; July 11, 2018, Sheilla Dingus The Blitz: ‘Mama’s don’t let your babies grow up to be NFL’ers. Teach them hoops or baseball instead. Or the law. There will be lawyers’; June 27, 2017, Sheilla Dingus Two remaining plaintiffs in NFL painkiller lawsuit fight to keep case alive; April 10, 2017, Sheilla Dingus – Feeding frenzy ensues as lawyers vie for feels in NFL concussion settlement); March 27, 2017, Sheilla Dingus – Open Letter to Roger Goodell./This letter is too good for Roger’s circular file. ); March 22, 2017, Sheilla Dingus – (Deflategate ‘Legacy’ Lives on in Wideman Ruling ); March 21, 2017, Sheilla Dingus – (Are Prescription Painkillers an NFL Sanctioned PED? ); March 3, 2017, Sheilla Dingus – (The Story of an NFL Wife: A Conversation with Cyndy Feasel); February 1, 2017, Sheilla Dingus ( Painkiller abuse in the NFL Part III: A tale of two lawsuits. ); January 29, 2017, Sheilla Dingus (Recent court ruling in DeCarlo wrongful death lawsuit may prove beneficial to other CTE cases. 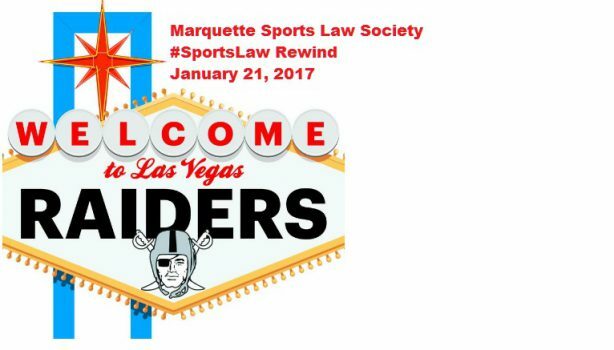 ); January 18, 2017, Sheilla Dingus ( Painkiller lawsuits: Un-tangling the NFL’s web of secrecy, Part I. ); January 11, 2017, Sheilla Dingus ( Strikes for Kids Charity files emergency motion to compel deposition of Roger Goodell. ); January 5, 2017, Sheilla Dingus (The Blitz: All the latest sports law links. ); December 27, 2016, Sheilla Dingus ( What has become of Mike Neal? /Not every NFL player was cleared in that Al Jazeera America documentary ‘investigation’. Worth a read. ); December 14, 2016, Sheilla Dingus Roger Goodell’s wicked web. /Good read; December 12, 2016 Sheilla Dingus Denial of NFL player’s disability claim shrouded in inconsistencies and conflicts of interest; December 1, 2016, Sheilla Dingus News Blitz: Lawsuits against the NFL/NFLPA; Should marijuana be considered alternative to RX painkillers; October 14, 2016 Sheilla Dingus via Defenders of the Wall, Why did the NFL deny an eleven-year player’s disability claim? July 19, 2016, Sheilla Dingus ( via PatriotsLife), The demise of Deflategate may be greatly exaggerated. ); July 14, 2016 Sheilla Dingus (Defenders of the Wall) What’s next in the Brady deflategate appeal? July 12, 2016 (Defenders of the Wall) Second Circuit Update: 7/11/16; June 13, 2016 (Defenders of the Wall) Arbitration on trial; July 8, 2016 Sheilla Dingus (Defenders of the Wall) Sound of silence from the Second Circuit. June 6, 2016 (Defenders of the Wall) Amicus briefs questions and answers: Could they be a deciding factor in deflategate? May 24, 2016 Sheilla Dingus (Defenders of the Wall) Article 46: Burning down the house? May 12, 2016, Sheilla Dingus (Defenders of the Wall) In support of Robert Kraft. Sheilla Dingus: The CTE Lawsuit that Made it to Court, reprinted with permission, May 11, 2017. NFL’s Treatment Of Retired Players in Concussion Settlement Shows League’s Lack of Integrity, February 28, 2018 (reprinted with permission). Sheilla was quoted in Power & Greed Use & Abuse College Athletes’ Brains, Bodies, and Rights w/o Pay by Carol Bluestein September 5, 2018. Tweet included in Maryland football player makes powerful statement for fallen teammate after coach is reinstated, October 30, 2018. Derek discusses the NHL Concussion Settlement, CBA Negotiations, and Seattle expansion. December 1, 2018. Sheilla discusses NFL Concussion Settlement issues. September 28, 2018. Are NFL concussion payouts expected to grow? Derek discusses a variety of sports fairness issues. September 2, 2018. Sheilla discusses the potential impact of the North Carolina bathroom bill with David Glenn.